In our work with Global Voices’ NewsFrames project, we use data to create evidence-based stories that explore a broad spectrum of topics. Data can provide us with fascinating insights and guide our stories towards surprising conclusions. 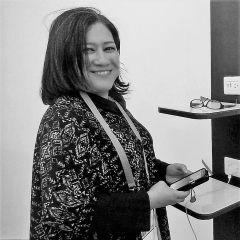 People who work in qualitative research are aware that while even “fuzzy searches” might lead to insightful findings, luck is not always on one's side. The difficulty with data is that it doesn't always shed light on the questions to you set out to answer. This is a story about what happens when the data doesn’t support the story we were expecting to find. A Culture Shot is a NewFrames story type which looks at rhetorical patterns in news coverage on cultural themes. These posts are qualitative, discovery-driven, and help us gain interesting perspectives on the way certain topics are treated in the media. I was first inspired to write a Culture Shot story about the word “indios” (Indians) after watching a viral YouTube video that caused friction between Venezuelans and Ecuadorians and also raised questions about indigenous representation in media. …son feos porque parecen indios. … are ugly because they look like Indians. 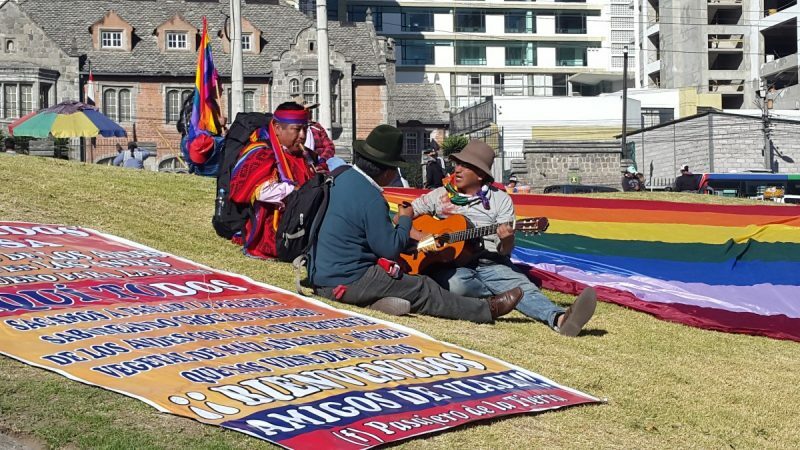 Many Ecuadorians took to social media to voice their offense at the comment, while others questioned why being called an “indio” is considered offensive in the first place. The controversy created by this video inspired me to research the nuances of the word “indio” as it is used in both Ecuadorian and Venezuelan media, as a way of exploring the varying representations of indigenous populations in these two countries. Media representation is an important area of investigation for NewsFrames, and Rising Frames, our collaboration with Global Voices’ Rising Voices, looks at the media framing of marginalized groups. It was important to consider certain linguistic and historical factors while working on this story. Ecuador and Venezuela have different relationships with their indigenous populations, and I was expecting to discover substantive differences in media usage of the term in light of that. Ecuador has a larger indigenous population—around 8% of its citizens self-identify as members of one of the 13 official indigenous nationalities and more than half the country's population has an indigenous background. Ecuadorian indigenous people have also built strong political organizations to fight against structural discrimination. The indigenous population in Venezuela represents a smaller portion of the overall population—around 2%—divided among 34 ethnic groups. Discrimination is somewhat hidden and indigenous political organizations are weaker. In Latin America, “indio” is considered derogatory in most formal contexts; the term indigenous is preferred by many. In Ecuador, “pueblos originarios” (original people) and “indigenous nationalities” are often the preferred terms, and it is not unusual for news media to refer to specific ethnic groups by name, for example, Shuar or Sarayaku. “Indio” is widely used colloquially in Venezuelan, but it is considered politically incorrect in formal settings. “Indigenous” is the preferred term in mass media, academia and political publications. In Venezuela, it is also not uncommon to use the name of specific ethnic groups such as Wayúu, Yukpa, Yanomami or Warao. My investigation involved searching for the word “indios” in the NewsFrames Venezuela and Ecuador Media Cloud collections (see fact box). The word “indios” was, in fact, a common occurrence in Venezuelan media between June 1 and September 30, 2017, appearing in 1,344 stories. However, most of the stories were about the Cleveland Indians, a US Major League Baseball team. Although I knew this team was very popular in Venezuela, I was surprised to find that it was so prevalent in the search results for the term “indio”. I found only 102 stories in Ecuadorian media for the same timeframe, and a majority of these were related to India, the country. The stories that did refer to the indigenous population were primarily opinion pieces criticizing hidden racism in the country. In the midst of everything, there was one other surprise that surfaced. The search for “indios” also revealed a small subset of stories about Chavism, or socialism in the 21st century. It just so happens that Venezuelan government-run media sometimes publishes stories framing their ideology as the fight by “Bolivarian indios” against neoliberal capitalism. Lesson One: For terms with multiple meanings, irrelevant results are likely to make the researcher's search difficult. Sometimes the ratio of relevant hits to irrelevant hits is too low to provide meaningful insight. Lesson Two and Three: Silence may be significant, but can signal further nuances and complications. It is probably the case, for instance, that the reason the term “indios” was little used in Venezuelan and Ecuadorian media to refer to indigenous populations media because it is considered politically incorrect. However, the absence of “indios” from public discourse may also suggest an avoidance of the discussion of hidden racism, and remains an investigation that is much more complicated to formulate. And finally, Lesson Four: Data journalists must be willing to shelve stories when the data is not solid enough to support their hunches. In the end, I gave up on writing the Culture Shot. But I felt it was important to write this failure story instead, to acknowledge that while data-driven stories are not always straightforward, that doesn't mean that the questions aren't worth asking. We keep searching because we know that today's messy investigation is the foundation for deeper insight in the future.